On a typical weekend, a well-equipped resort in the Florida Keys could house 300 guests with top-notch hospitality without blinking an eye. Their logistics are perfect, letting vacationers rest easy in luxury. But when a record-breaking hurricane severely damaged one resort’s beautiful buildings and grounds, finding space for repair workers became their first priority. They couldn’t host guests without significant repair. And they couldn’t even call in the construction trades until they’d handled the daunting task of demolition. In difficult circumstances like this, the hospitality logistics experts needed help figuring out details that might otherwise be routine. If you’re a resort without guest rooms, where are your repair crews going to sleep? Eat? Shower? Do laundry? And these workers needed to be on site as soon as possible, because every day a resort isn’t housing guests, it’s losing money. It may seem far-fetched to imagine finding housing for hundreds of people in a matter of days, but this exact challenge is common for communities recovering from a major disaster like a record-breaking hurricane. Following every major storm since Katrina, Mahaffey has received calls from businesses that need to be up-and-running–-fast. 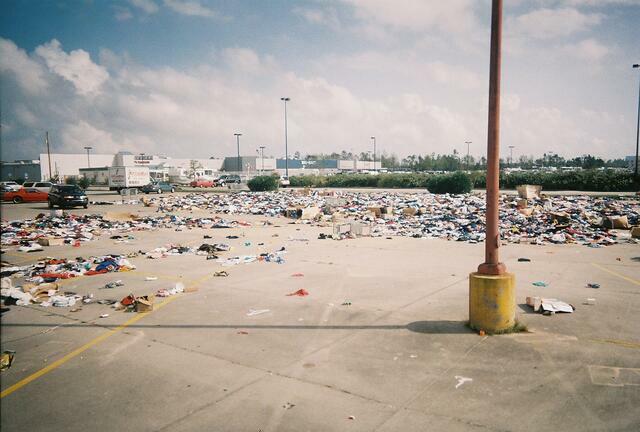 Devastation in Mississippi following Hurricane Katrina. Mahaffey provided a temporary base camp to the area. In fact, for many of our industrial customers, shutting down and leaving a plant without workers for even a day could be extremely dangerous. 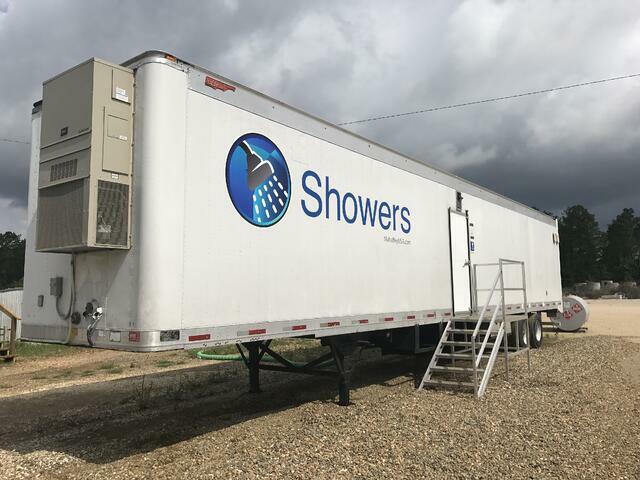 After storms devastated businesses across the southeastern United States, Mahaffey partnered with companies from a variety of industries to provide turnkey solutions. And we don’t just mean a single turnkey structure. 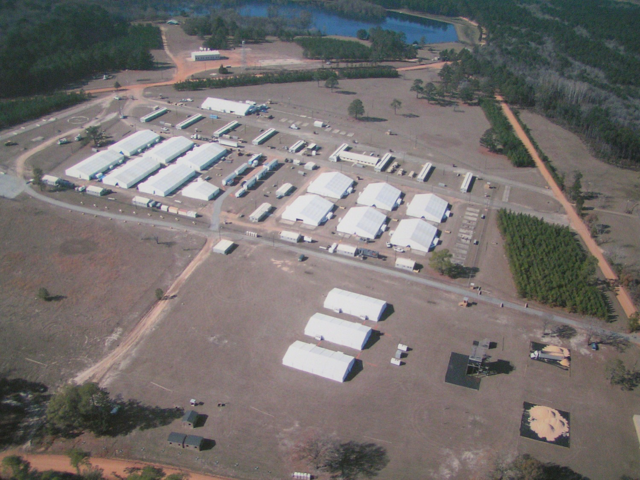 We are often called upon to provide entire turnkey towns in the form of temporary base camps and disaster relief tents. In 3 ½ days from the time of the initial call from the resort, Mahaffey constructed a base camp with everything from sleeping quarters to dining facilities for the workers called in to do the backbreaking work of demolition. That’s 3 ½ days from making a call for help to being fully operational. 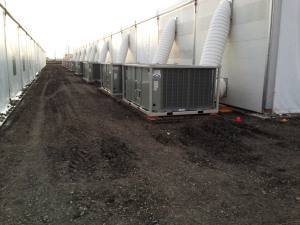 Our well-organized operations ensured we were able to deliver rapid response for this client. Multiple crews were organized to maximize the efficiency of the project. An installation crew constructed the clearspan structures, while another crew focused on support structures for showers and laundry. A third crew moved in just behind the installation crew to handle flooring, carpeting and interior walls, all while another crew took care of generator power and HVAC needs. Many of the workers coming to stay in the resort’s base camp had been displaced from other construction and labor jobs across the state. While their other work stalled, these workers were able to keep the paychecks coming in by staying at the base camp and preparing for the resort’s rebuild. Because they had everything they needed at camp, they could focus on finishing the job at hand, getting the resort up and running and helping their own families recover from storm damage. Many companies claim to work in the area of disaster relief, but Mahaffey is unique in our ability to work with industries that can’t shut down for recovery. Our Emergency Response Disaster Command Center stays ready 24/7 to provide expert project management for urgent business continuity needs. And, our warehouse is fully stocked with all types of structures and accessories, including base camps, ready to deploy at a moment's notice. With our experience, we know how to work with FEMA to obtain the necessary permits to work in severely damaged locations. Even when the major routes to businesses are closed, we can get our base camps to you so you can get back to work. While we’re proud of the work we do helping communities recover from devastating storms, base camps aren’t just for disaster relief. We are business continuity experts. 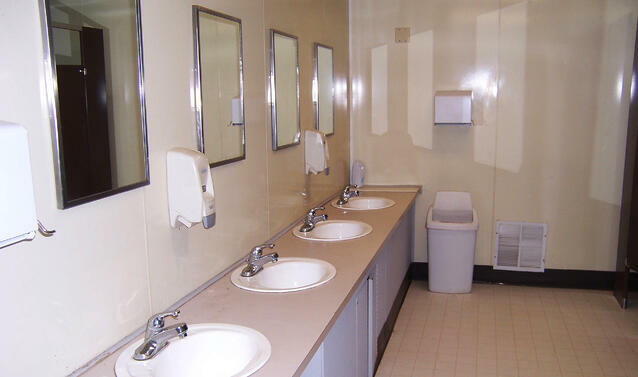 Our project managers know what you’ll need to house a large number of workers on site. With a Mahaffey base camp that includes full amenities, you can take care of your people so they can take care of your business. After all, sometimes even the hospitality experts need a hand with their logistics. Does your business have a disaster relief plan in place? Talk to one of our expert Project Managers to ensure your business continuity plan ensures you're covered.